JustTrucks.com: SERVING ALL 50 STATES WITH HEADQUARTERS BASED IN TUCSON, AZ. When you’re itching to get behind the wheel of a nicer, newer truck, visit JustTrucks.com. Our team is ready to help with the superior customer service that you deserve. Thanks to extensive training and years of combined experience, the staff at JustTrucks.com knows trucks inside and out. When you’re ready to finally experience a quality pre-owned truck, give us a call or stop by our headquarters in Tucson, AZ, just one mile from the Tucson International Airport. Whether you are looking for a 4X4, extended cab, lifted truck or a heavy-duty diesel, we’ve got your truck at JustTrucks.com and check out our huge selection of quality pre-owned trucks by Ford, GM, Jeep, Nissan, Dodge Ram, Toyota and more! We are 100% committed to your satisfaction! With unmatched value and inventory selection, JustTrucks.com is the leading destination for today’s educated truck buyer. Our inventory is ever-evolving as we continue to meet the needs of truck buyers all over America, and yes, we ship to all 50 states! 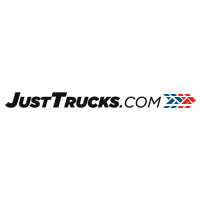 Visit JustTrucks.com today…we’ve got your truck!